I was first introduced to micro four thirds with the GF1, and although I wasn’t heavily invested in the system at the time and only used it as my backup and travel camera, I still managed to take nearly ten thousand photos with it. Compared to my Canon it was incredibly portable, and it was a hell of a lot of fun to use too! 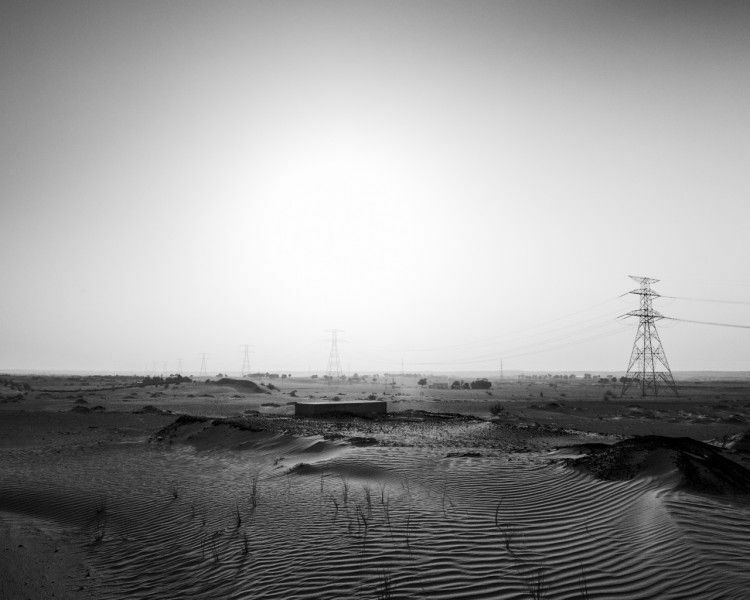 Image:Dubai, shot with the GF1, July 2013. As the lens collection grew I found new ways to enjoy the system. 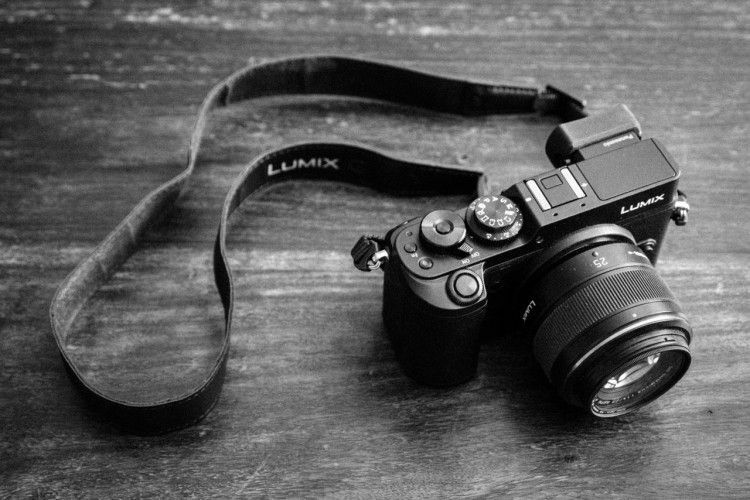 Eventually the GX1 came out, but I didn’t see it as a huge improvement, and over time my enthusiasm for the micro four thirds system waned. I shoot a lot with rangefinders, and really wanted a view finder, and there were other things on my wishlist too. Weather sealing, dual card slots, faster and more accurate auto-focus, more megapixels, better ergonomics. And then the GX7 came out. It didn’t have everything I wanted, but it was a substantial improvement over previous micro four third cameras. I pre-ordered it when it was announced, and for a while after getting hold of it, took it everywhere, and shot with it a lot. There’s over 41,000 GX7 files in my Lightroom catalogue. This is exaggerated because of a series of animated gifs I made using burst mode instead of video files (stupid, I know…) but I really did take a hell of a lot of photos with the GX7, some of them quite memorable. But as much as I loved it, it still wasn’t perfect. Enter the GX8. I wasn’t at all put off by the larger size, was very much a fan of the larger view finder, increased megapixel count, alleged auto-focus improvements, beautiful design, and weather sealing. It didn’t have dual card slots, but it was about as close to my perfect camera as existed at the time, so when circumstances conspired, I picked one up. The first unit arrived with a faulty shutter mechanism, but after a disappointing experience with Panasonic customer support, and then a quick and painless experience with Australian retailer CameraPro, I had a fully functional replacement unit in my hand, and I was ready to play. The GX8 is well built, and fits perfectly in my hands. To me the Fuji’s are toy-like in the hand, while the GX8 feels like the real deal. The GX8 is solid without being too heavy, compact without being too small. 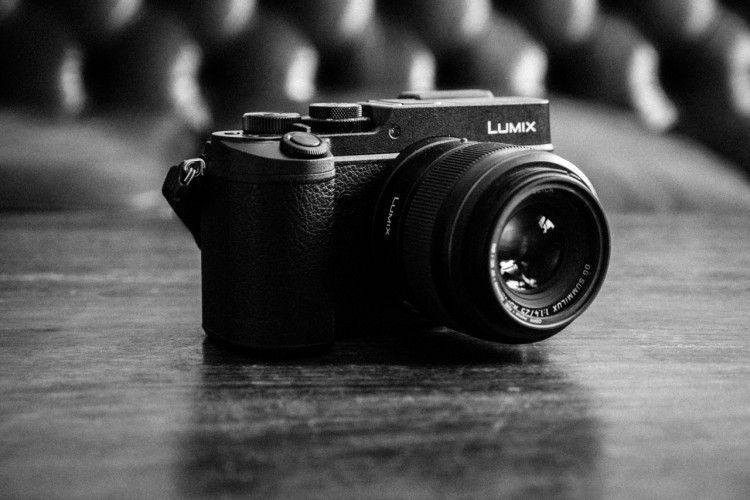 The viewfinder is big and beautiful, the menu system and button placement familiar to anyone who has used a Lumix camera. The leatherette was initially a little slippery when compared to what covered the GX7, but this has since softened up somewhat. Auto-focus is very good, but I’m yet to find an auto-focus system as good as a manual focus rangefinder. Take from that what you will. First up, the files from this camera are beautiful. My primary camera is my Leica M9, but I think I actually prefer the files from my GX8. The raw files really are no joke, I was amazed at the life in them. You can push and pull them like putty, and they just keep on giving. Lots of information in the shadows, and almost as much in the highlights. These raw files really respond well to the way I work with them. I couldn’t be happier. Image:Alexandra, shot with the GX8, March 2016. I’m pleased about the slight increase in megapixel count, especially because I shoot at the 3:2 aspect ratio. What I also love about the GX8 raw files is that when you shoot in the non-native aspect ratio like I do, it doesn’t trash the rest of the frame like the GX7 did, but makes it available when inside your favourite raw editor. This has already come in handy a couple of times, especially when I’ve got my verticals or my horizontals slightly off, it gives me a little more image to play with so I can fix them up in post, and still be true to the original framing. Another nice little addition in the GX8 is the in camera raw editor. I don’t use it much, but it’s occasionally nice to be able to shoot raw, edit it up in camera, generate a JPG, send it to your phone, and post it online, all without the use of a computer! I’m a huge fan of the new viewfinder. I haven’t done a direct comparison, but it feels much more responsive, and quite a bit bigger than the one in the GX7. I also love that constant preview now works at all shutter speeds! Finally, I love the clean lines of this camera. I think it’s a beautiful bit of design, and it looks fantastic with my favourite lens attached. If only the Panasonic 25mm 1.4 was weather sealed. There’s not much I don’t like about the GX8, but there is one feature I would have loved to have, and a couple of strange design decisions I’m not all that excited about. I’ve already mentioned the missing feature. I really wanted dual card slots. If you don’t understand the need for this, then you’ve never had an SD or CF card go belly up on you. This has happened twice to me. The first time it was a CF card issue that resulted in the entire contents of the card being lost, the second time it was an SD card error that thankfully only cost me a few images, and not the whole shoot. I know it would increase the cost of the camera, but the peace of mind it would offer is invaluable. As for the strange design decisions, I don’t really like the SD card slot and battery being behind the same door. The SD card slot is pushed right up against the door hinge, and it’s a bit of a pain to get in and out. I know other people might think otherwise, but I would have preferred to have the SD card slot where the HDMI port hides. Perhaps if it was there, Panasonic could fit an extra one in too! The second strange design decision is the tiltable viewfinder. It’s much stiffer than the GX7 one, which is an improvement, but it still manages to pop out when I take it from my bag or if it catches on my clothing. I’ve never found it all that useful either. A fixed viewfinder would compliment the solidity of the rest of the body too. Finally, the strangest and most frustrating of the lot, in part because it took me hours to figure out, in part because it’s the easiest for Panasonic to fix, and in part because there is no obvious reason for it. If you have the photo filter set, you can’t enable the ‘direct focus area’, which means you can’t use the cursor buttons to control the focus point. WHY? I cannot fathom a reason for this. Sometimes I like to keep the LCD hidden away while I’m shooting so I’m not tempted to waste time pixel peeping, and the dynamic monochrome filter seems more true to the way I process my photos than the monochrome photo style with the contrast turned up. But in order to use the cursor keys to control my focus point I have to switch from the dynamic monochrome filter to the monochrome photo style so I can enable the ‘direct focus area’ option. If you’re not following along, I don’t blame you, this doesn’t make any sense. For me, this bug renders the reversible LCD a waste of time, so I end up using the GX8 in the same way I used the GX7, with the touch screen focus point selection, and the screen in its traditional orientation. Not the worst thing in the world, but frustrating nonetheless. I’ve had my GX8 for over a month now, used it for several shoots, and have already taken over 3000 photos with it! You can see some of them on my tumblr. I was seriously disappointed with the way Panasonic’s support team responded when one of their flagship cameras arrived with a fault from the factory, especially when other people’s experiences suggest it’s far from an isolated issue. Thankfully CameraPro were true professionals, and put the situation right with absolutely no fuss. After receiving my replacement unit, the camera has grown on me in a big way. Every time I use the GX8 I like it a little bit more, and the resulting files really are a dream to work with. If you’re considering purchasing a GX8, I would say go for it, BUT I would buy from a retailer you trust, and if at all possible, put the camera through its paces before you even leave the store. I will be forever suspicious of Panasonic’s customer care, and cannot trust them to take responsibility for production faults. It really is a shame that the shine of such a beautiful camera has been stained by an apathetic and frankly unacceptable attitude towards customer service.